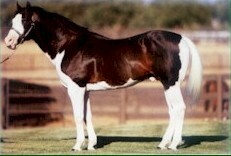 "Gambling Prophecy" is an APHA brown Overo and the LAST son of the famous Gambling Man. "Prince" has multiple championships to his credit in one short show season including Top Ten in multiple events at the APHA World Show. 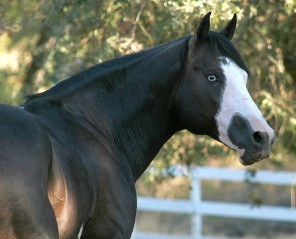 Standing to a limited number of mares. 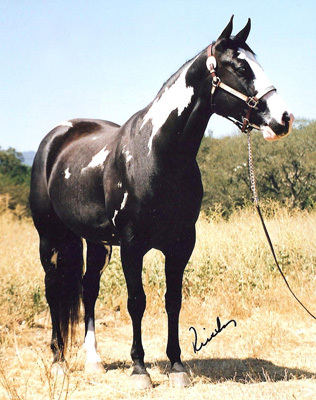 "Prince" placed under 4 out of 6 judges in Reno against some of the top names in the industry in September of 2003 after being ridden english for only two weeks! Virtually all of Gambling Man's offspring can jump and we are looking forward to Prince showing his colors over fences in the future. the years to come. Prince has been Breeders Trust Nominated. Performance Record in one short season.